Bring' em home is a song written by Bruce Springsteen, combining Pete Seeger's Bring them home ( If you love your uncle Sam ) with some elements from the civil war era song When Johnny comes marching home. The song was released as a digital single in 2006. 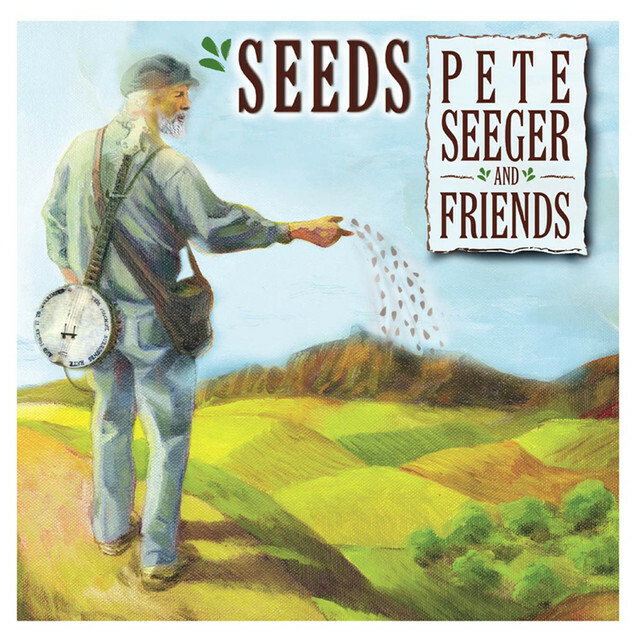 When Pete Seeger's 2003 album Seeds: The Songs Of Pete Seeger, Volume 3 was released, Jim Musselman sent a copy to Jon Landau and Bruce Springsteen with, as Musselman explained, "a thank you note to both of them for appearing on the first CD of the trilogy and for their support and commitment to the project over the years." 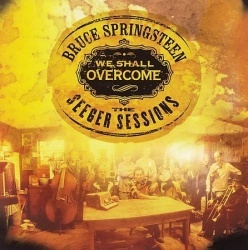 Bruce Springsteen had recorded We shall overcome for the 1998 album Where Have All The Flowers Gone: The Songs Of Pete Seeger. Bruce first recorded Bring 'em home with The Seeger Sessions Band on 21 Jan 2006, during the last of the three Seeger Sessions. 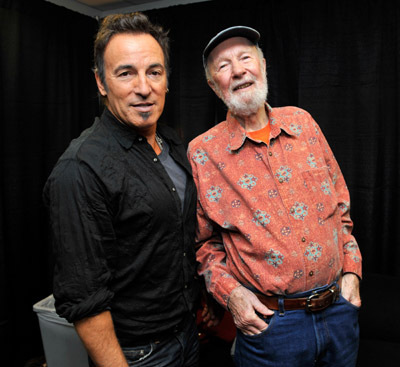 That initial recording was based on Seeger's 2003 version of Bring them home ( if you love your uncle Sam ) but Springsteen made some few changes. He replaced the "So now we don't want to fight for oil / Underneath some foreign soil" verse with two verses of his own, "This country belongs to you and me / We don't need no imperial presidency" and "You don't want your freedom gone / You better know which side you're on". 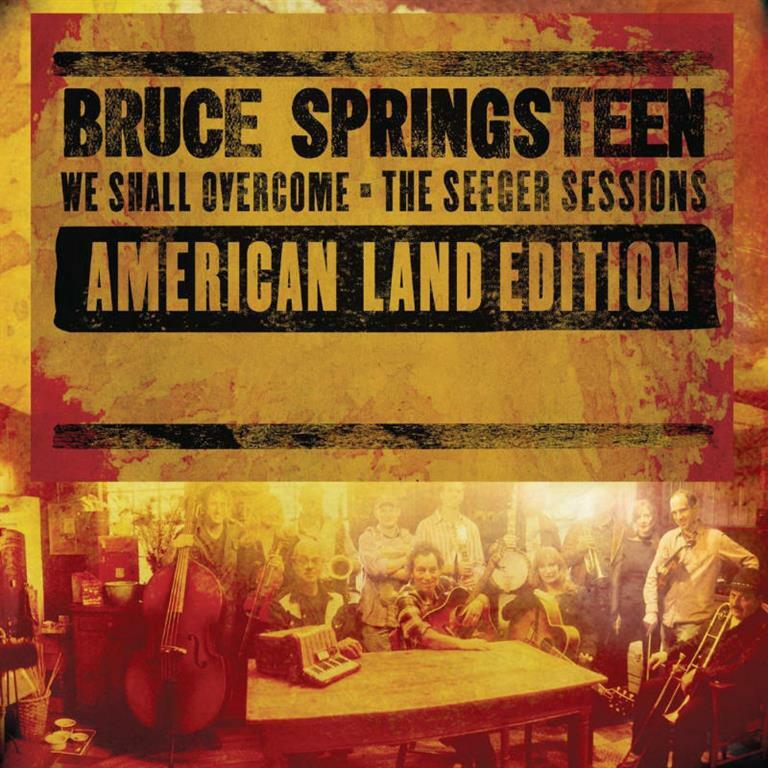 That original Springsteen studio version of the song was not included on the We Shall Overcome: The Seeger Sessions album. Springsteen continued to work on it, removing some verses and adding some of his own. Springsteen's version became a song of its own, titled "Bring 'Em Home". A live version is released on We Shall Overcome: The Seeger Sesssions (American Land Edition). Bring them home ( If you love your uncle Sam ) is a song written by Pete Seeger in 1965 during the Vietnam war as an invitation to support the move for U.S. troops withdrawal. The song was first published in issue #71 (June 1966) of Broadside magazine. Pete Seeger first released a live version of the song on his 1969 album Young Vs. Old. In 2003, Seeger and Appleseed Recordings founder Jim Musselman updated the song to address the Iraq war. The song was recorded with Seeger trading verses and lines with Billy Bragg, Ani DiFranco and Steve Earle. That new recording of the song was released on Pete Seeger's 2003 album Seeds: The Songs Of Pete Seeger, Volume 3.